Jade Bridges, Global Technical Support Manager Electrolube describes some interesting applications of LEDs including improved growth of animals, plants and algae and looks at how modern protective compounds and thermal management materials are enhancing the performance and prolonging the life of LED lighting units exposed to challenging indoor and outdoor environments, with positive powerful results. It is hard to ignore the phenomenal growth of the LED market, spurred on by new applications, advertisements for energy saving and company policies to switch to more efficient lighting systems. In conjunction with the design freedom and application possibilities now offered by the technology, LEDs are predicted to take almost a 70% share of the lighting market and be the most commercially viable lighting technology by 2020. The outdoor lighting market is a typical area where LEDs have opened up new opportunities for architectural designs in a host of applications, including under-floor lighting in heavily trafficked areas. This is a particularly demanding environment for LED lighting, yet it is increasing in popularity thanks to the long life and compactness of LED arrays, which make them the better option for hard-to-access spaces. Protecting lighting installed under a walkway involves the use of encapsulation resins which fully encase the LED array. The resin has to resist abrasion from pedestrian footfall, be UV stable and must not affect the colour temperature of the light emitted. When such tough resins are required, epoxy based systems are often considered, but standard epoxy resins are not UV stable and will yellow over time. Moreover, tests have shown epoxy resins to be vulnerable to abrasion; due to their hardness, they tend to scratch and, where a clear resin is concerned, leave white marks on the surface. Clear polyurethane systems, such as Electrolube’s UR5634, offer good UV stability and a degree of flexibility, which means that when the surface is scratched or scuffed, it does not mark in the same way as an epoxy resin and thus preserves and prolongs the cosmetic appearance of a lighting unit to which it is applied. Where colour temperature shift is concerned, our tests here at Electrolube have determined that this is directly related to the amount of material applied and the potential physical stresses (temperature, shrinkage) exerted on the LED during the cure profile. The graph in Figure 1 shows how the potting depth of UR5634 affects the colour temperature shift. As the shift only happens as a result of the interaction with the LED, once the first layer is potted it is possible to pot again with more resin to ensure adequate protection is achieved without further affecting the colour temperature of the light emitted. The compromise between potting depth (and therefore the degree of protection achieved) and colour temperature shift is a critical one. In the first instance, the level of protection can be controlled by the material type or chemistry used; a standard conformal coating, for example, will offer a base level of protection against humidity, salt mist, etc. Next, a thicker two-part coating can be applied to provide enhanced protection against condensation and (if present) corrosive gases. Finally, an encapsulation resin may be applied and its thickness adjusted to achieve the desired level of protection. Figure 2 shows an example of the protection provided by these three material layers in a corrosive gas environment. Let’s now consider other, exciting new applications for LED lighting and the protection challenges these pose for the designer. 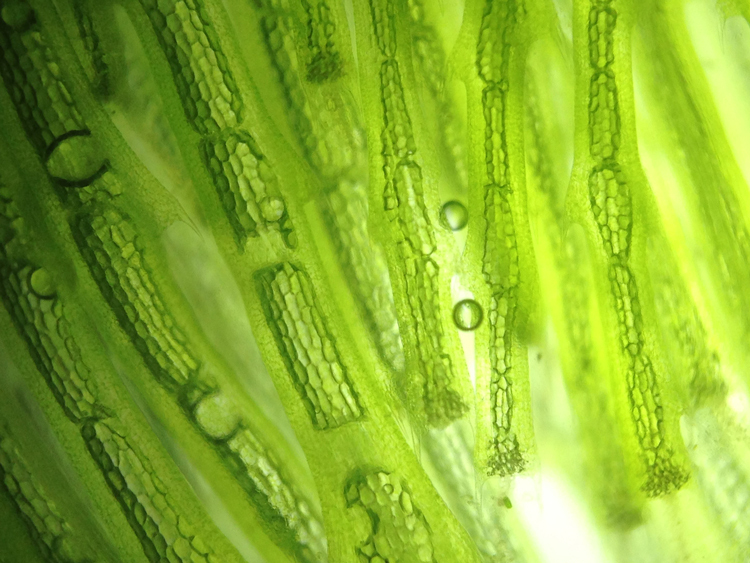 Algae produce organic food molecules, using just carbon dioxide and water, via the process of photosynthesis. An important by-product is oxygen, accounting for around 30-50% of the net global oxygen supply available for respiration. Along with the formation of food molecules and oxygen production, algae are also grown for use in food processing, with applications ranging from the reduction of ice crystal formation in ice cream to the clarification of beer and wine. It is possible to monitor and control the environmental conditions for algae growth by varying the wavelength of light used, simulating specific conditions for particular strains. Traditionally, high pressure sodium-metal halide/fluorescent lighting has been used for this purpose, but the toxic materials contained within these units present a contamination hazard, should they be damaged during harvesting. Moreover, the wavelength of the light emitted is not optimised for photosynthesis, rendering the process inefficient. An alternative approach is to use LEDs, which are safer to use in a food production environment. Importantly, it is possible to control the wavelength of the light emitted by LEDs, leading to increased growth rates and process cost reductions. As in the case of our outdoor architectural lighting application, the LEDs used in algal cultivation must be protected. Algae are typically grown in photo-bioreactors to avoid contamination or growth of unwanted species, and in order for LED lighting to function in these vessels it must be protected – principally against permanent contact with water. While it is general practice to seal units with optically clear encapsulation resins, a compromise has to be made concerning the potting depth, which will have an impact upon both the level of protection achieved and the desired wavelength of the emitted light. It is important to note that LEDs generate heat; any air voids in the resin close to the surface of the LED arrays will cause hot spots to develop, increasing the ambient temperature in the vicinity of the LED and thus reducing its operating lifetime. Appropriate resin choice is important here, as certain properties like viscosity will affect void formation. At this point, we have addressed the need for protecting the LED lighting array against potentially damaging environments, but what of ancillary equipment such as power supplies and control units? Control units may be located on site or installed remotely, and are also likely to require protection from the environment. These units may also be wireless enabled, in which case the dielectric constant or relative permittivity of the resin should be considered. Typically, relative permittivity values of around 3 to 4 are ideal but as applications and signal frequencies vary, it is important to test the protecting compound in situ to ensure that it meets the specification. Controllers are often fitted with internal temperature sensors, such as positive temperature coefficient (PTC) thermistors, which may require the use of thermally conductive compounds to ensure that all air gaps are minimised to improve heat transfer to the sensor surfaces. Thermal management pastes, room temperature vulcanising (RTV) compounds and gap filling products are often used for such applications, the final choice depending on the geometry of the sensor and correspondingly the size of any air gaps that may be present. The chosen thermal management material must also remain stable at the applied thickness in order to achieve the best thermal transfer to the sensor. Products such as the recently introduced Electrolube HTSX can provide low thermal resistance and excellent stability over a wide operating temperature range but as a thermal interface material, it is designed to be applied in thin films. If the air gap present is greater than 200 microns, results may be improved if a gap filling or RTV curing material, such as Electrolube HTCPX or TCOR is used. For power supplies an encapsulation resin can serve two purposes: protection from the environment and heat dissipation. For example, Electrolube UR5633 provides very high levels of thermal conductivity combined with excellent resistance to water and tolerance of low temperatures. However, the viscosity of this two-part polyurethane resin is very high and so it may not be suitable for space-limited applications where air voids are likely to be formed. Remember, air voids in an encapsulated unit can create hot spots, leading to reduced performance and shorter lifespan. Lower viscosity resins, such as Electrolube’s two-part ER2221 epoxy resin may be more appropriate in this case, while high performance resins such as Electrolube’s ER2225 offer additional useful properties, including chemical resistance and tolerance of high temperatures. LED based lighting technology is now also helping to improve the health, wellbeing and yield from agricultural livestock. Many studies have shown that improving the quality of light in animal enclosures, pens and barns reduces stress, while utilising LEDs of a specified wavelength can tackle other issues, such as the attraction of flies to the light source. The colour temperature of the light has also been shown to have an impact on the growth and positive behaviour of chickens. Not surprisingly therefore, the poultry industry is gearing up to retrofit as many as 600,000 barns with LED lighting over the coming years. Lighting in these environments is required to meet IP66 rating for dust tightness and resistance to ingress from high pressure water jets. It must also be resistant to corrosion (particularly corrosive gases that can be present in poultry barns), high humidity and potential impact damage. Protection compounds, such as conformal coatings and encapsulation resins, provide the long-term protection required to meet the rigours of these demanding environments. The applications reviewed in this article highlight the importance of electro-chemical products and their ability to protect LEDs and associated products from adverse environmental conditions while at the same time ensuring efficient heat dissipation from these components. As with all electronics applications, the correct choice and implementation of conformal coatings, encapsulation resins and thermal management materials is critical to the performance and life expectancy of an LED product and these issues should be considered at the earliest stages of the design process. Electrolube has become a well-respected global supplier to this rapidly growing market, providing technical support and guidance on material choices to designers and manufacturers of LED lighting systems across a wide range of applications and environments, spanning everything from weather-resistant street lighting to sleek, modern interior lighting designs.